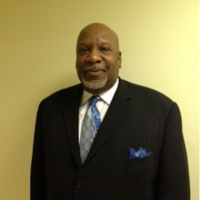 Reverend James Moragne has been with Mount Zion for 11 years. He has studied at Moody Bible College and the Milwaukee Theological Institute. His spiritual teaching involves Sunday School, the Food Pantry, leading extension bible class at the Calvin Courtyards and working in the Mental Health & Wellness Ministry. Reverend Moragne and his wife, Sister Sylvia, have 3 children and 6 grand-children.